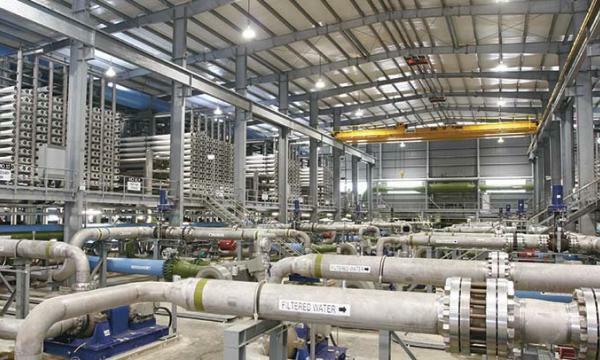 Hyflux is seeking consent to restructure around $2.8b in liabilities although it has admitted in its disclosure that senior lenders recovery is likely to be limited and subordinated lenders may not even recover a cent as the embattled firm struggles to dispose of loss making Tuaspring desalination plant. Those pinning their hopes on a bailout should also manage their expectations as the Environment and Water Resources Minister earlier announced in Parliament that the government would not use taxpayers money to help investors recoup their losses. “This means that whilst water security is an important theme in Singapore, making Hyflux's role important to the country, it may not suffice to engender government support, in the absence of a strong link (i.e. ownership),” S&P Global Ratings credit analyst Bertrand Jabouley said in a note. The Public Utilities Board has also warned of a possible takeover of the Tuaspring plant if Hyflux fails to meet contractual obligations in a deal that requires it to deliver up to 70 million gallons of desalinated water per day from 2013-2038, signaling cracks in the restructuring agreement Hyflux painstakingly manage to ink with white knight investor, SM Investments, which eventually fell apart in April 4. After a series of back-to-back refutations, the embattled water firm said that SMI has terminated its investment, adding that it has no confidence that SMI is prepared to complete the investment even if precedent conditions for the restructuring are fulfilled. The spreading malaise comes as less-established often smaller companies have tapped the flush bond market, supported by retail and institutional investors that have turned to riskier bonds in order to boost cash returns amidst the low rate and yield environment in the past five years. Bond issuance by Singapore-domiciled firms turning to the debt capital markets hit a record-high of US$34.4b in December 2018, data from Refinitiv show. Against the backdrop of heightened trade tensions and deepening macro-economic uncertainties, however, corporate earnings are increasingly likely to cave under pressure which could be an issue in Singapore where median leverage (det-to-EBITDA ratio) is high at close to 6x. Jabouely adds that although financial distress over the past three years has been largely confined to the energy and commodity sectors following the downturn in 2016 which saw troubled times for Swiber Holdings, KrysEnergy, Ezion Holdings and Nam Cheong, no sector is immune to financial troubles. This was evident in the default of telco provider PT Trikomsel Oke Tbk in 2015 which demonstrates that even companies in defensive sectors are vulnerable to financial distress and default risk if they rely too heavily on debt for their expansion plans. “[L]osses can be harsh, depending on the characteristics of debt instruments outstanding. This is because the market has seen the introduction of complex debt instruments compared with senior unsecured notes,” said Jabouley, which cited how Genting Singapore PLC issued $2.3b in perpetual subordinated bonds in two separate tranches in 2012 as a benchmark transaction for hybrid capital issuance. Out of close to $60b in corporate bonds outstanding, there are about $8b in perpetual bonds, S&P data show. Chart of the Day: What are the top targeted M&A deals in Q1?